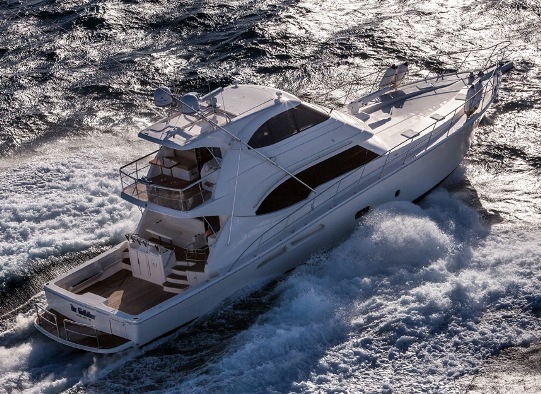 A new flagship is always an important moment for any builder, and while Riviera's new 75 Enclosed Flybridge is a five feet extension of the well recieved 70 released in 2008 and sold in six units there is much to be excited about this new from down under flagship. 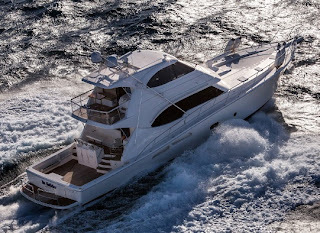 The main novelties of the 75 Enclosed Flybridge are an extension of the aft cockpit, an astern galley, and a more extended flybridge. Down below of hull one of the 75 Enclosed Flybridge featured four staterooms sleeping twelve guests in total. Coming from a colloboration with Dutch archtitect Frank Mulder the 75 Enclosed Flybridge is standard powered with Cats 1572hp engines or option 1800 units. Max speed is 31 knots with the large engine choice.